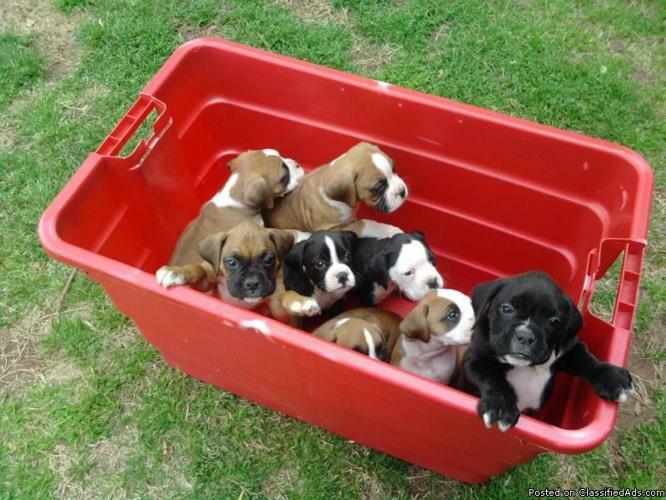 We have three CKC registered boxer puppies left and they are ready for their new homes. We have all females, magahoney w/black mask and two flashy fawn $550. They have all had dew claws removed and tails cropped and are up to date on shots and health certificates.